In response to several customer requests, we are extending the measurements and reporting area of Queue Manager to support some additional charting options. 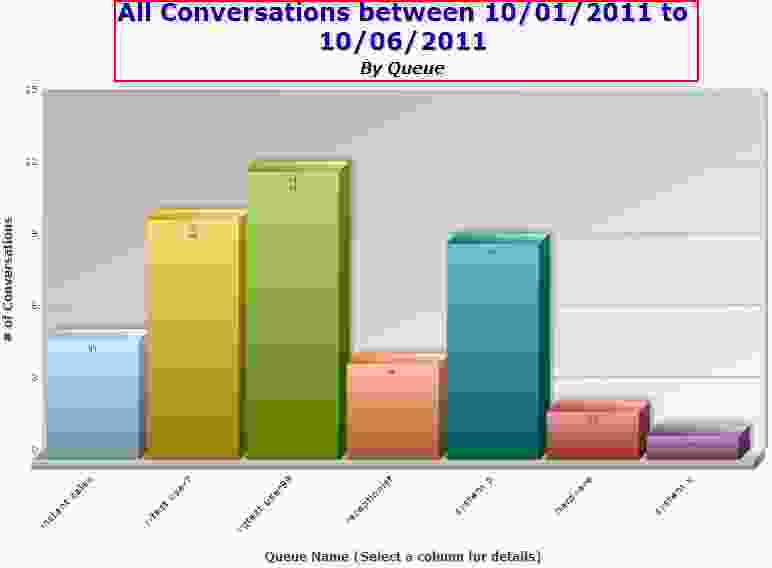 One new option will be the ability to chart information based on a selectable date range. 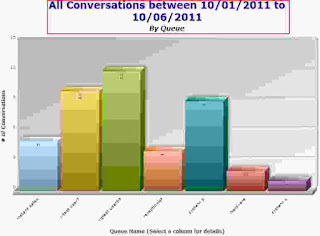 For example, all queue traffic between the dates of October 1, 2011 and October 6, 2011.